Keeping your arms protected yet mobile is an endeavor for any warrior to strive towards. These Economy Steel Bracers do just that, offering solid steel protection for your hands, while still being light enough so that a warrior can maintain their agility. 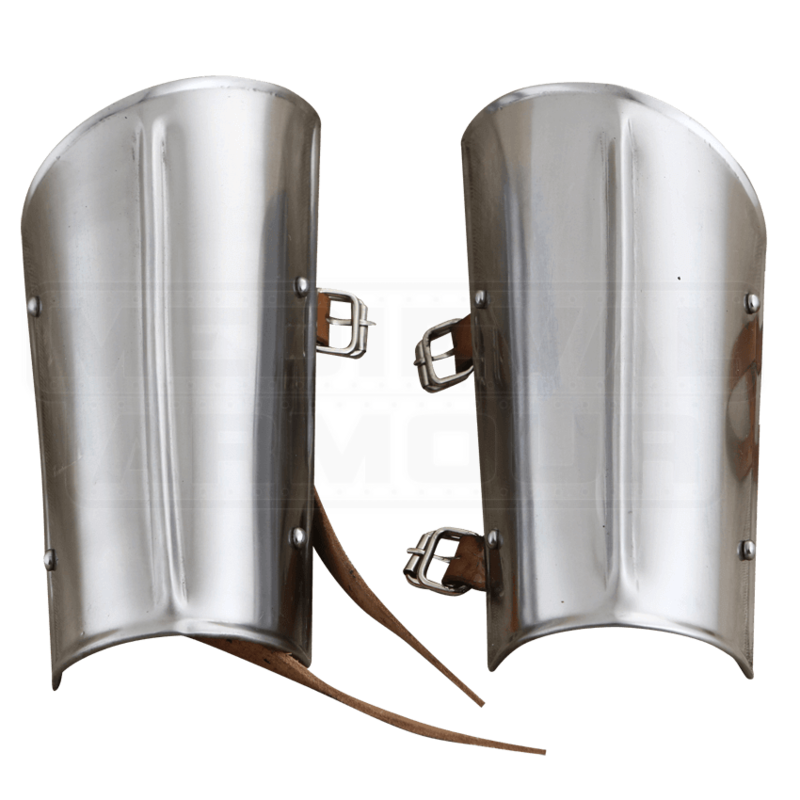 These arm guards are crafted entirely in 18 gauge mild steel, which is thick enough to offer solid defense, yet light enough to not weigh down a warrior in any way. They feature rounded edges for comfortable wearing, and possess a single steel ridge down their back, which adds some extra strength to their form, enhancing their defensive potential even more. Leather straps and buckles are attached to the bracers as well, for easy and adjustable fitting. And the best part of all is that these Economy Steel Bracers are relatively low-cost too, which means that you can get great protection for reenactments, events, LARPs, and other battles, as well as shiny forearm protectors that look fantastic, all without breaking the bank!